In 1978, Hermann Sand and Gravel was purchased by the Engemann family. Since, that time, the business has grown but the level of service remains the same. We provide high quality products for numerous clients throughout the state of Missouri. Conveniently located just 15 miles south of Interstate 70, HSAG has competitive pricing for all of your product needs. Hermann Sand employs 8-10 people with the plant locations and the transportation crew varies with the demand of service. We are proud of our crew and feel they are the best in the river industry. Without them, we couldn’t grow the business or offer our quality products and services. Steve Engemann, President of Hermann Sand & Gravel Steve@hermannsand.com Steve is President of Hermann Sand & Gravel, Inc. and Missouri River Towing LLC. Steve also is co-owner Mid MO Concrete. He is on his forth issue of his Captain’s license. Steve takes pride in operating small family businesses. These businesses continue to thrive because they are based on honest business practices and hard work. He is actively involved in continuing to work towards achieving reliable river transportation on the Missouri River by being a member of the Missouri River Dredgers Group, Inland Rivers Ports and Terminals, MRAC, Coalition to Protect the MO River, and Missouri River Relief organizations.Steve began working at Hermann Sand & Gravel Inc. full time in 1999 to achieve his goal of becoming a river boat pilot. 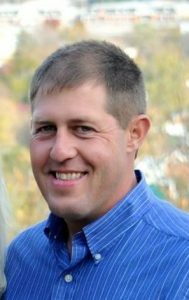 Steve was able to obtain his captains license in 2003 and in 2004 he started managing operations at Hermann Sand & Gravel, Inc. Currently, Hermann Sand & Gravel Inc. has two locations Hermann and Jefferson City to sell sand and gravel products. MRT provides commercial barge transportation from Sioux City, IA to New Orleans, LA. We also operate on the Upper Miss. and Illinois Rivers with a focus on the MO River. Hermann Sand operates two fleet boats. Missouri River Towing has two line haul boats 2400 & 3800hp. On a personal note, Steve is happily married to his wife Kate and has been blessed with two beautiful girls. While he is not managing the family business, he and his family spend time together enjoying water sports on the Missouri and Gasconade Rivers and horseback riding. Steve is a member of St. George Church, where he is on the Parish Council. Steve holds memberships with the Knights of Columbus, Gore Case Community Club, Big Spring Busy Beavers 4H and is a member of the Hermann Chamber of Commerce. Lisa Redfern, Office Manager of Hermann Sand & Gravel Lisa@hermannsand.com Lisa started in the marine industry in 1982 at John W. Stone Oil Distr., LLC in New Orleans, LA. In 1994 she was transferred to St. Louis, MO as Manager. She worked for Stone Oil for 22 years. In January 2005 she was delighted to land a position as Office Manager at Hermann Sand & Gravel, Inc. in her new home town.